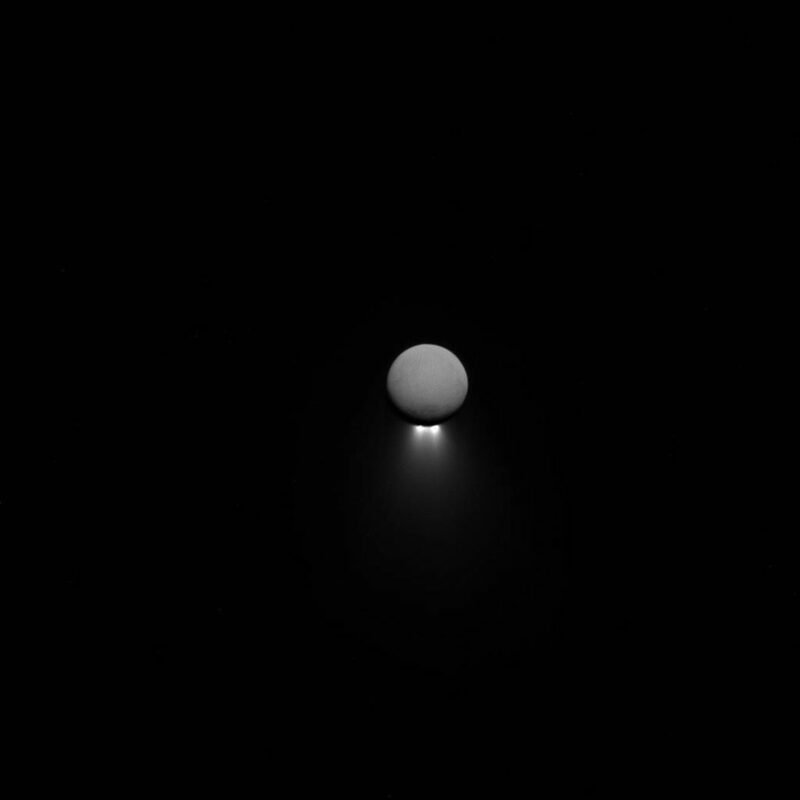 July 17, 2017 – Enceladus’ intriguing south-polar jets are viewed from afar, backlit by sunlight while the moon itself glows softly in reflected Saturn-shine. Observations of the jets taken from various viewing geometries provide different insights into these remarkable features. Cassini has gathered a wealth of information in the hopes of unraveling the mysteries of the subsurface ocean that lurks beneath the moon’s icy crust. This view looks toward the Saturn-facing hemisphere of Enceladus (313 miles or 504 kilometers across). North is up. The image was taken in visible light with the Cassini spacecraft narrow-angle camera on April 13, 2017. The view was acquired at a distance of approximately 502,000 miles (808,000 kilometers) from Enceladus and at a sun-Enceladus-spacecraft, or phase, angle of 176 degrees. Image scale is 3 miles (5 kilometers) per pixel.